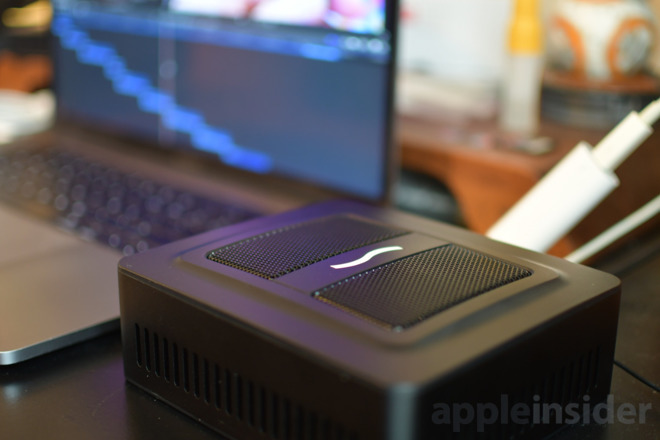 With the release of macOS 10.13.4 last month, Apple's desktop platform provides support for external GPU boxes over Thunderbolt 3. The handy hardware can provide a much-needed graphics boost to a variety of Macs, including MacBook Pro. What really makes this external GPU different from others is its diminutive size. We'd even go as far as to say that it is portable. 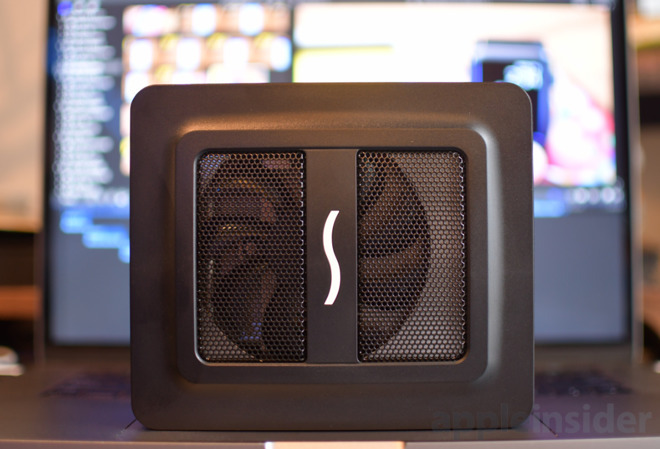 To make the Puck so small in size, Sonnet used an external power supply that is nearly as big as the Puck itself. Our model contains a Radeon RX570, so we know that it is a relatively power hungry card. 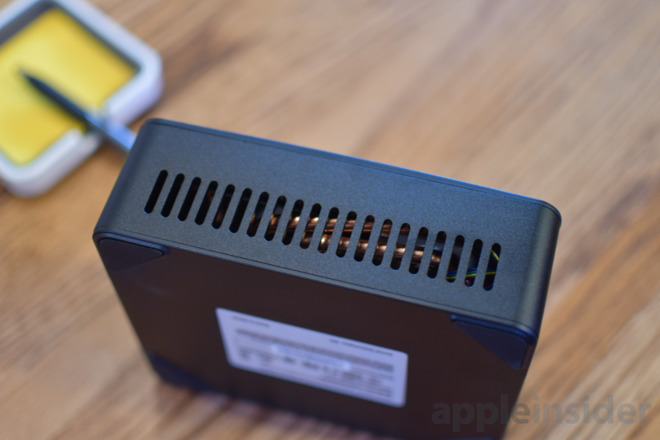 The power supply is capable of handling up to 220W, which it can also use to provide up to 85W of power to a Mac at the same time. There are two different flavors of the eGFX Breakaway Puck. One rocking a Radeon RX 560, the other with a Radeon RX 570. We are testing out the latter, as it seems the former isn't Mac compatible. Interestingly, the Radeon RX 560 worked with early macOS High Sierra beta builds, but that compatibility ended when full support for eGPU technology officially rolled out. Regardless, in either configuration, the GPUs both come with 4GB of VRAM on board. Three DisplayPort 1.4 ports and a single HDMI 2.0 port make up the external connectivity. All of these outputs are capable of 4K at 60Hz, allowing even a two-port 13-inch MacBook Pro with function keys to have a quartet of monitors. 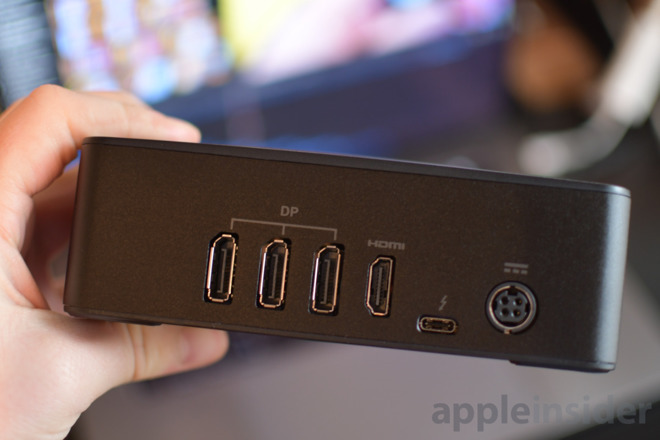 Of course, it has a Thunderbolt 3 port onboard as well, which is used to connect to your Mac — but no downstream connector. A power supply and an OWC Thunderbolt 3 cable are included in the box, with no additional cables necessary. When looking at the size, the Puck box measures roughly 6 inches-by-5.12 inches, standing 2 inches tall. Easy to move about or hide on your desk. It is so compact that we would believe someone if they told us it was simply an external hard drive. When looking closely, a few things reveal the fact it is an eGPU. Looking in the side grills you see several copper heat spreaders and heat pipes. When looking through the grill on top, you can see the large fan that is used to cool the card and VRAM. Obviously, the bevy of ports around back also reveal its true nature. It is a shame the power supply is so monstrous, but I think I prefer the eGPU's small size over an integrated power supply. That way I can offload the power brick to below my desk, giving me more usable space on top. The body is largely plastic, with a metal grill on the top. It still retains quite a bit of weight, however, lending a premium feel. 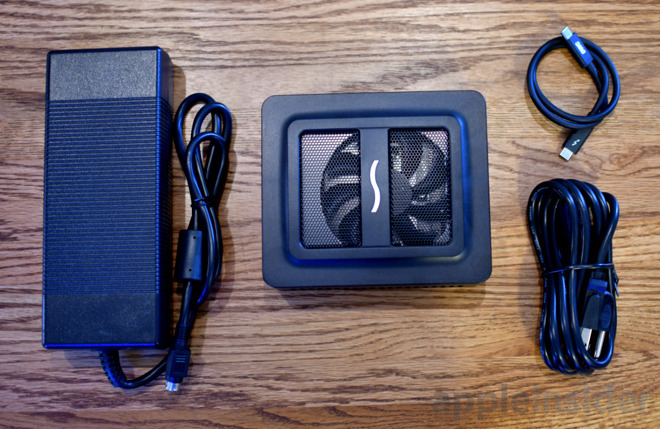 We will be putting this eGPU through more exhaustive tests for our full review, but in our limited time with it we have been quite pleased with the performance. If you are eager to pick one up for yourself you can find the Sonnet Radeon RX570 eGFX Breakaway Puck on Amazon or at B&H Photo for $599.00. As an added incentive, B&H will not collect sales tax on orders shipped outside NY and NJ (Colorado and Vermont residents, see here). Do you plan on picking up an external GPU? Let us know in the comments!